If you're in college, you’re about that late night life. You've pulled more all-nighters than Lindsay Lohan. You've arrived to class sans sleep and still managed to participate. But on an empty stomach? Never that. To fortify that tequila sack you call a stomach, you need to eat heartily and know a greasy spoon (or several) just steps from your dorm you can faithfully stumble to. 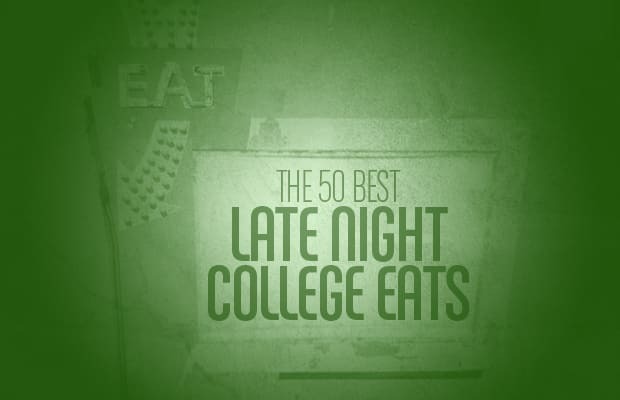 Get your appetite right with our guide to after-hours grub: The 50 Best Late Night College Eats.